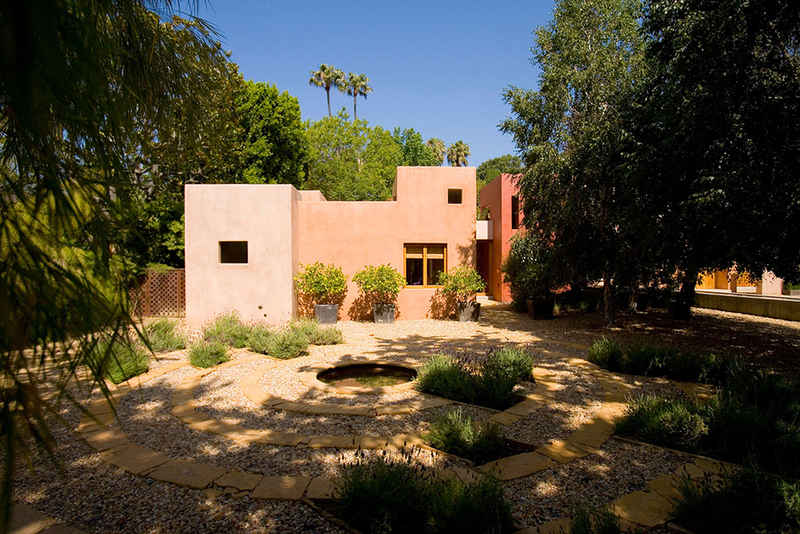 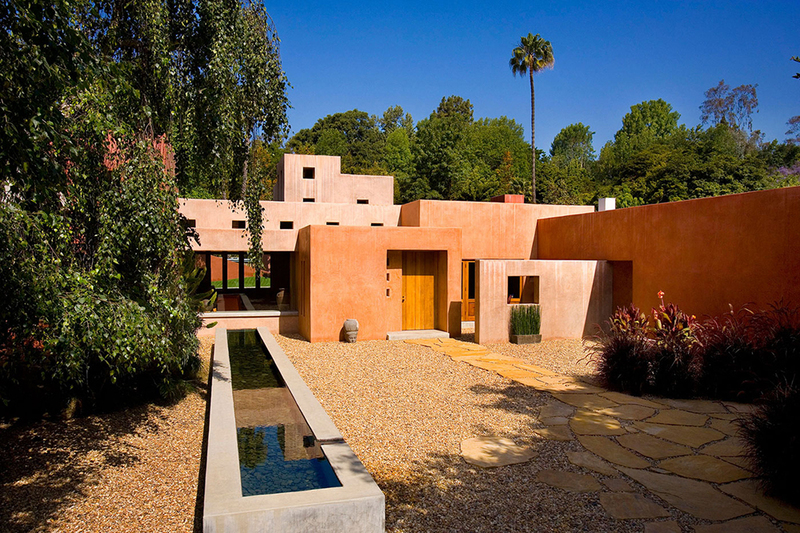 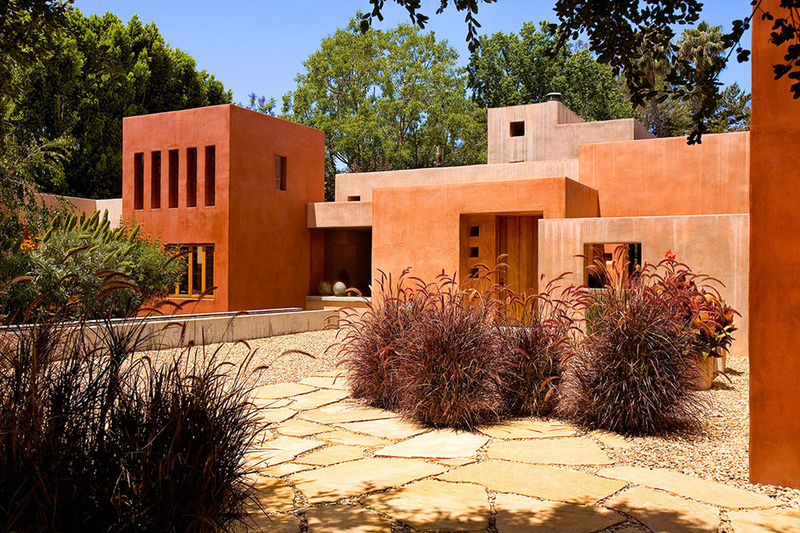 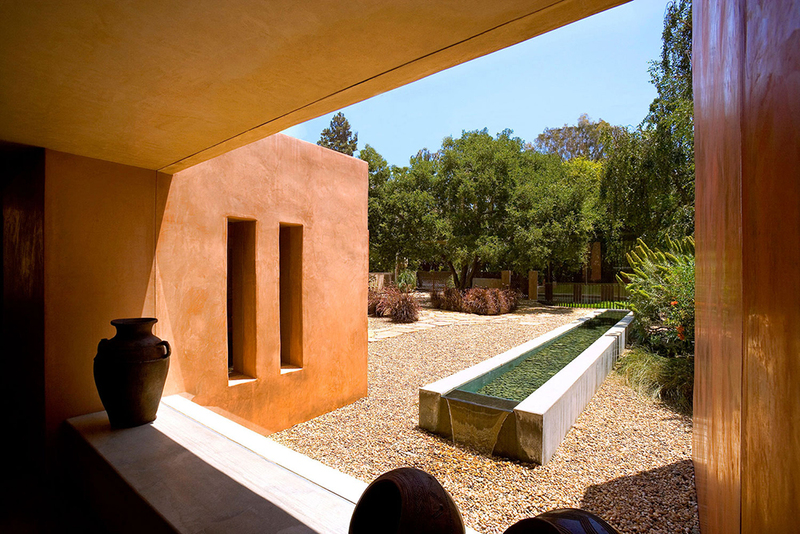 “This horse ranch in Brentwood, California is a livable romantic blend of contemporary and Mediterranean architectural sensibilities. 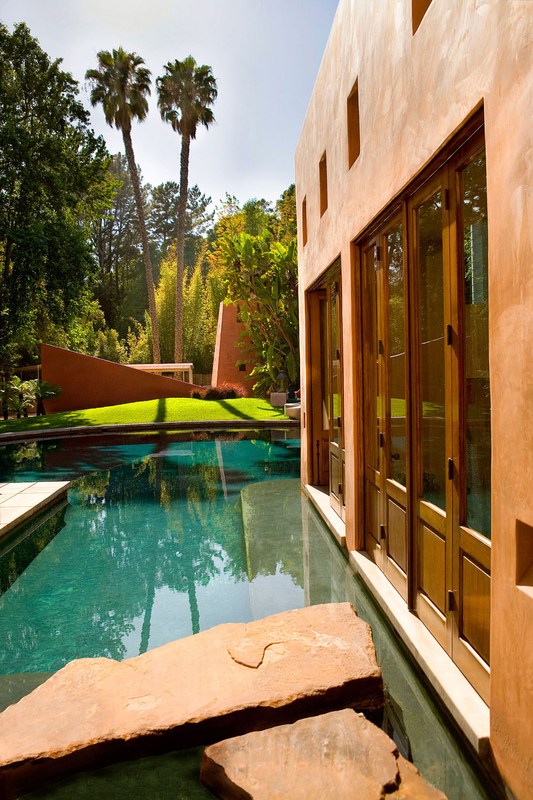 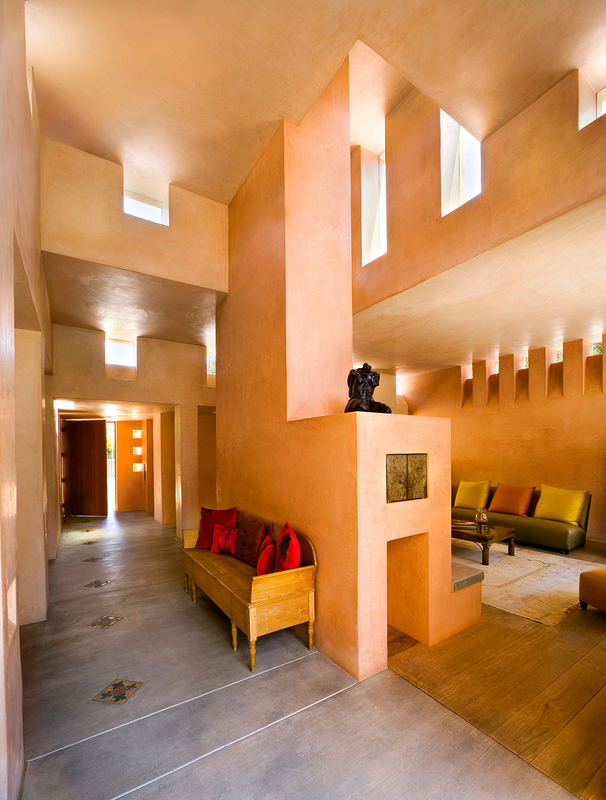 The house was originally created for two artists, husband and wife; one an architect turned director, another, a writer and sommelier. 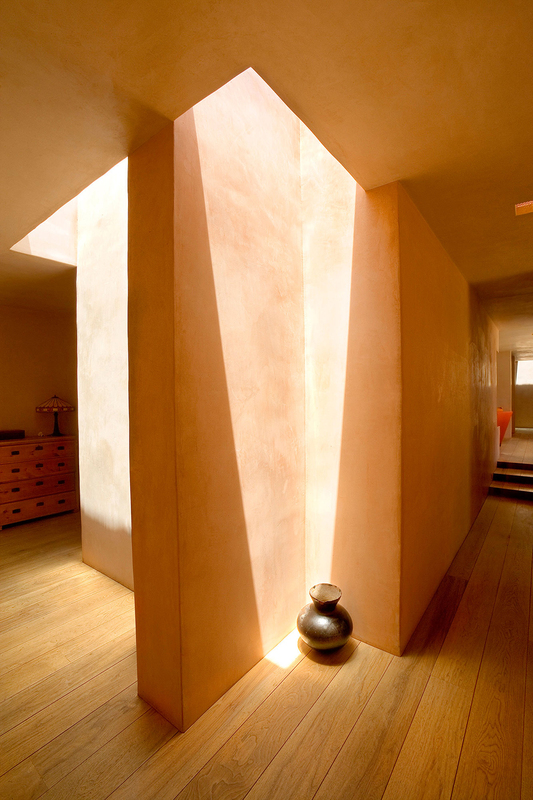 Both were very passionate about every detail that had gone into the creation of all their living spaces; a restoration in Italy and a loft in New York City. 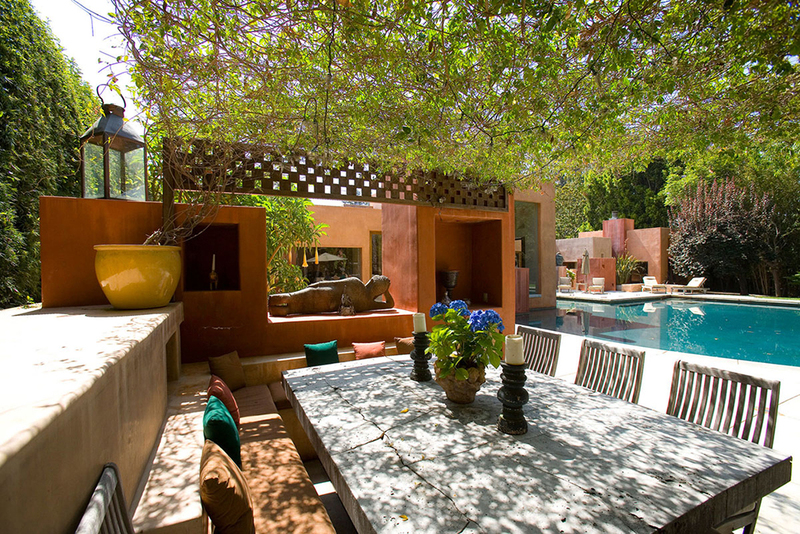 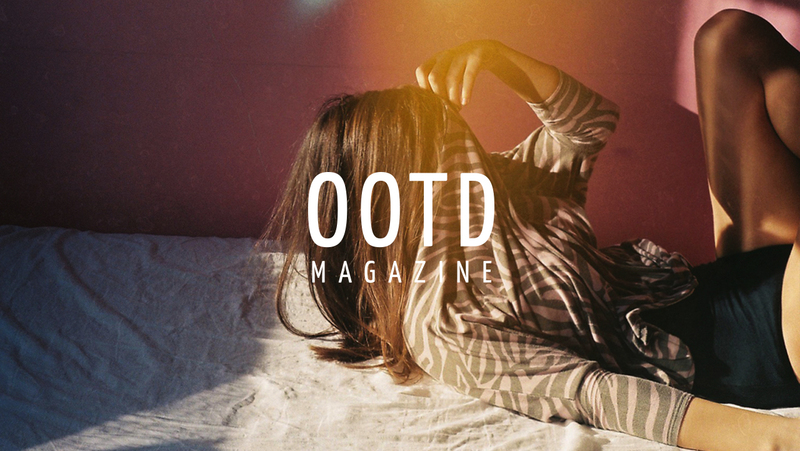 He wanted contemporary, she longed for romantic. 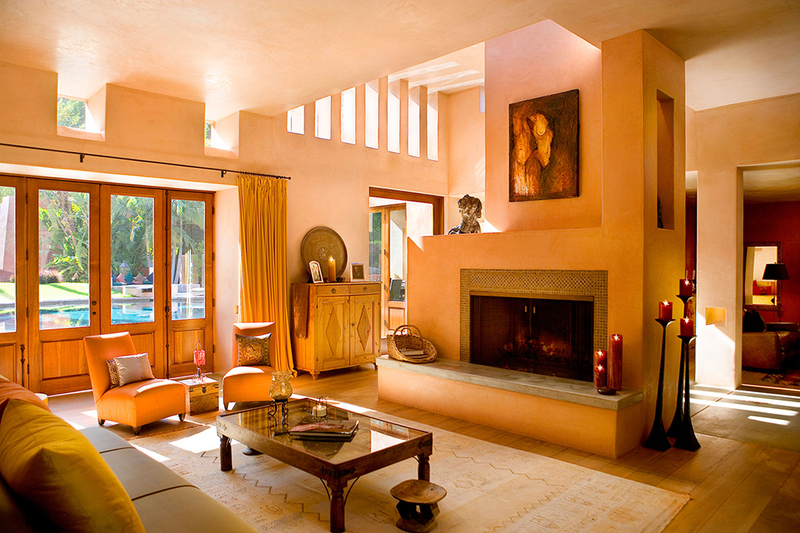 As Marc explains, the style derives from the all-important floor plan. 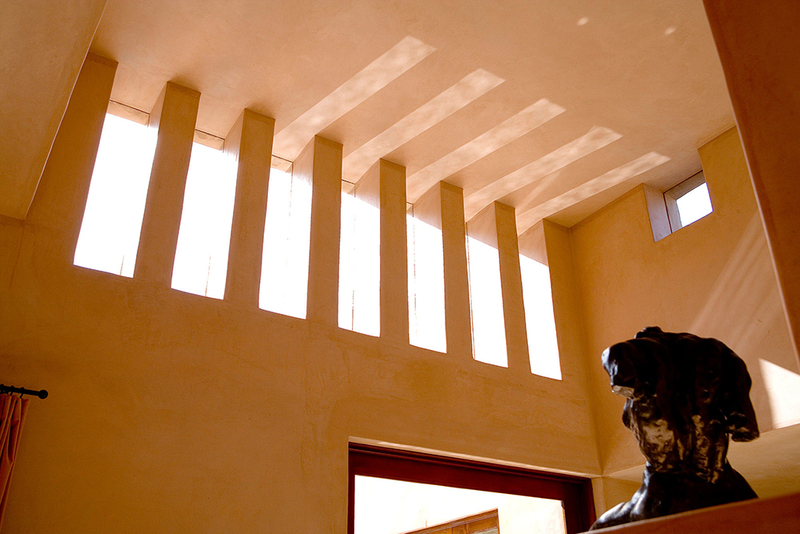 This is where decisions regarding use, light and the day-to-day performance of the spaces are made. 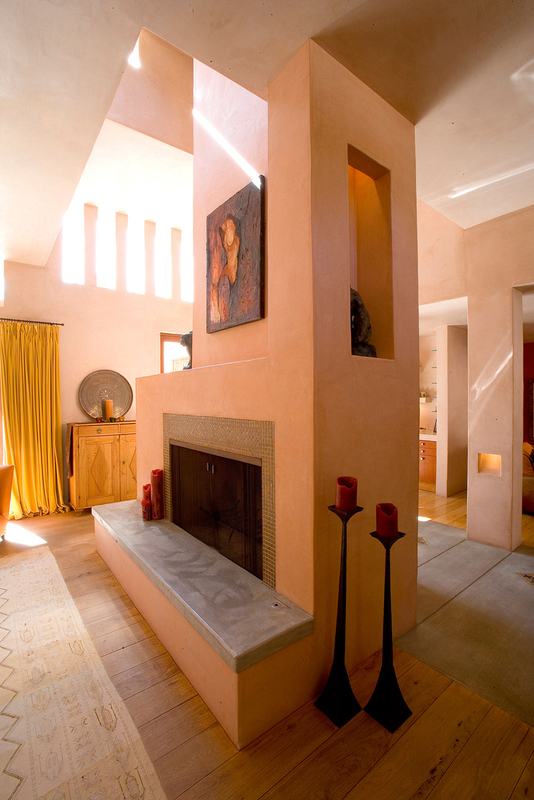 This plan called for open, cleanly outlined spaces that flowed one into another. 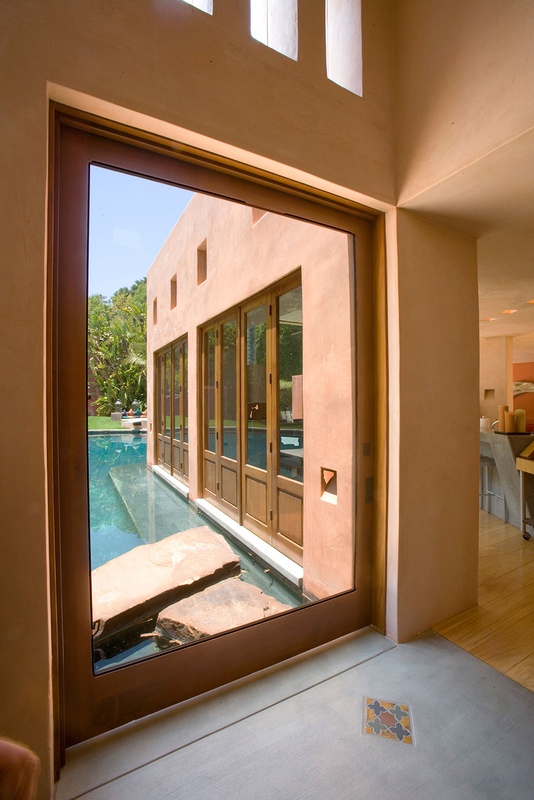 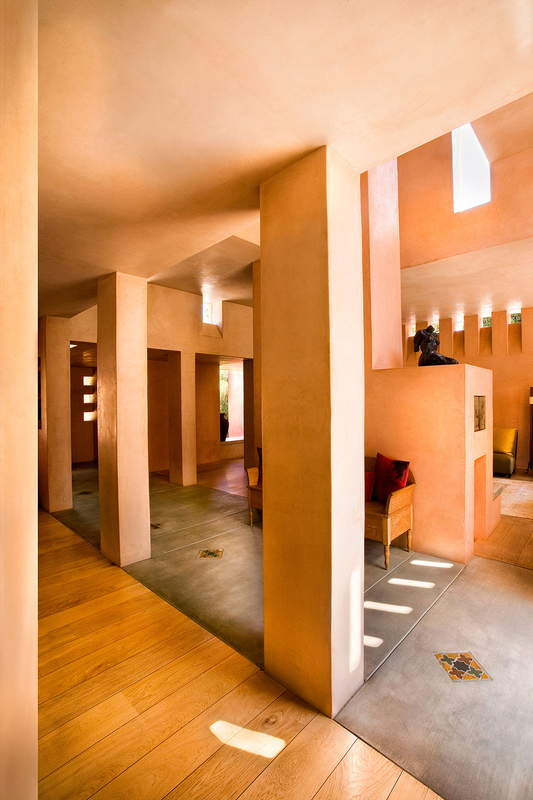 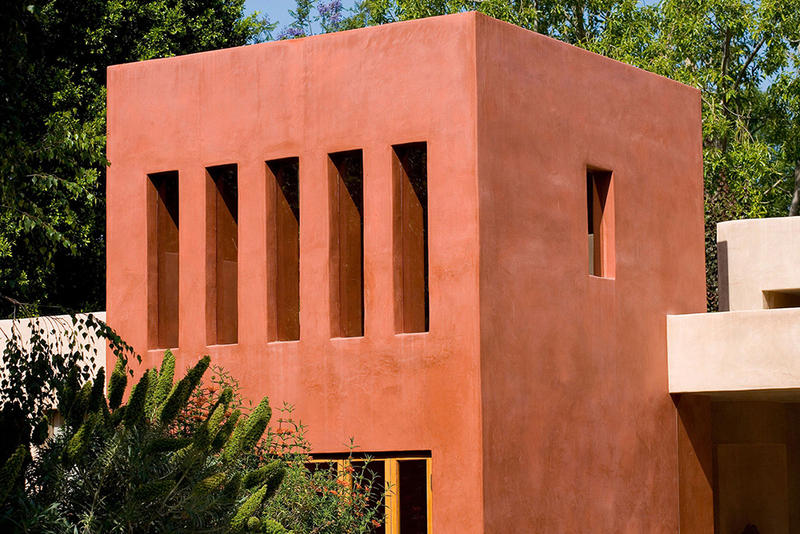 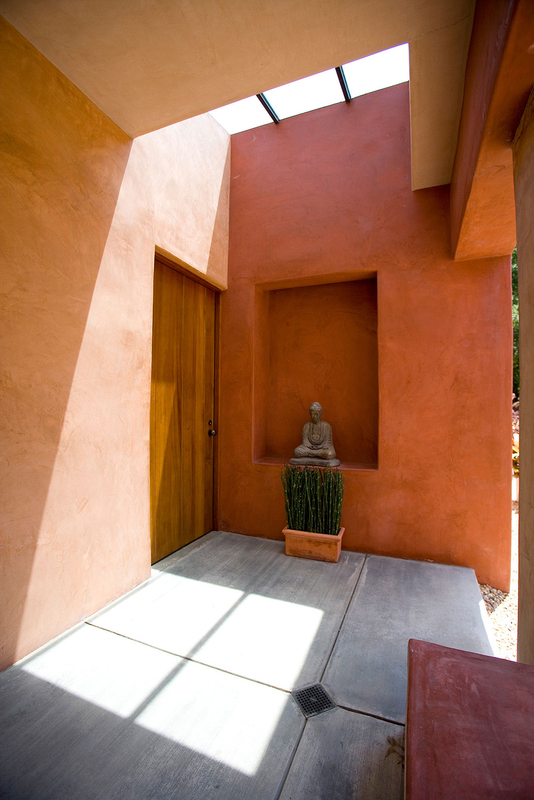 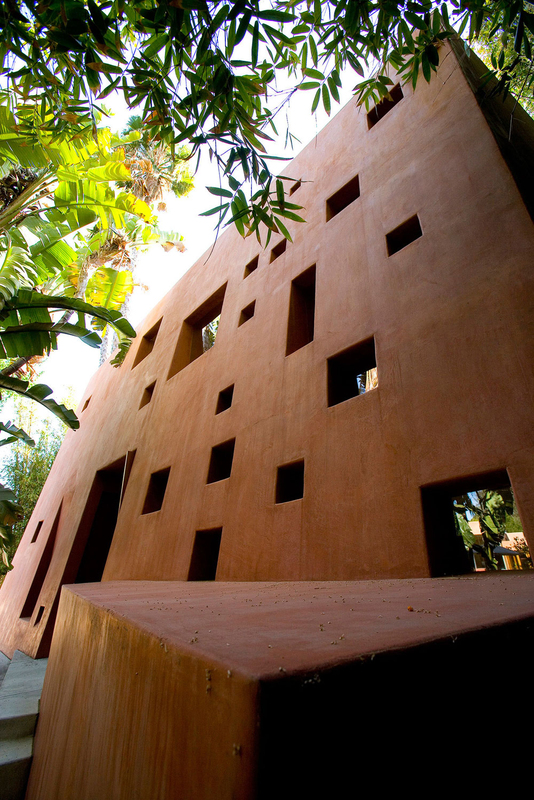 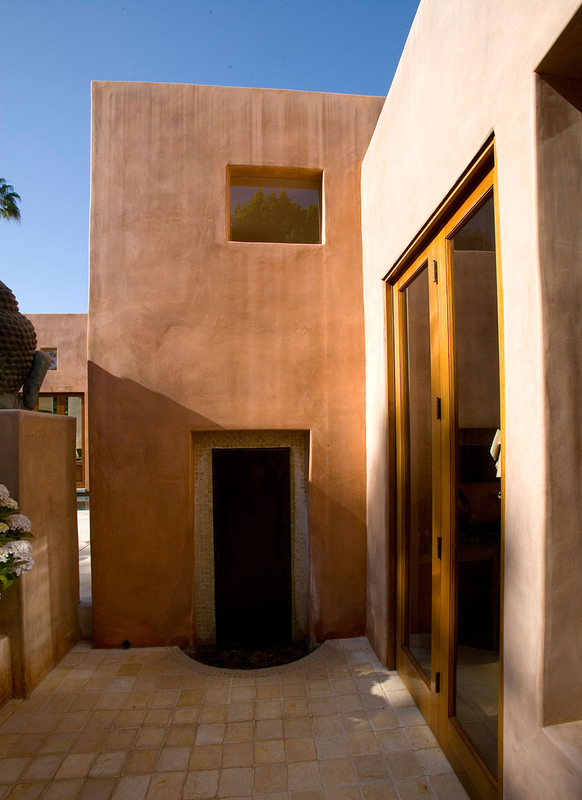 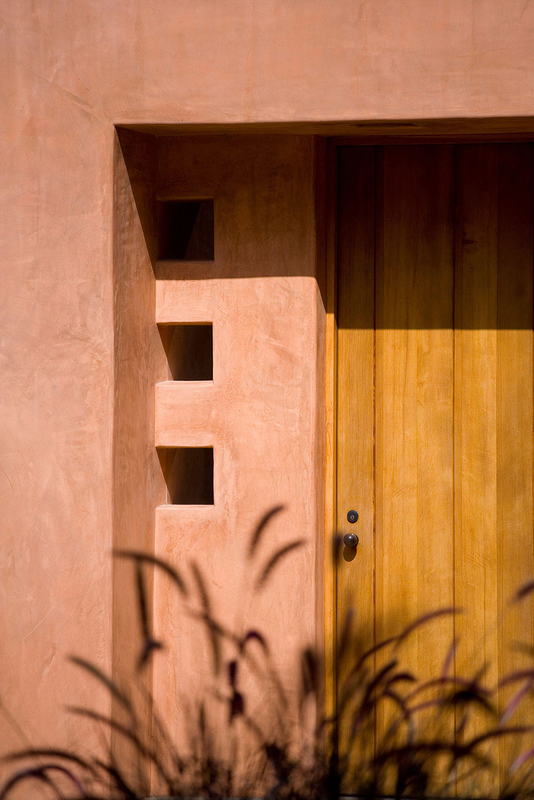 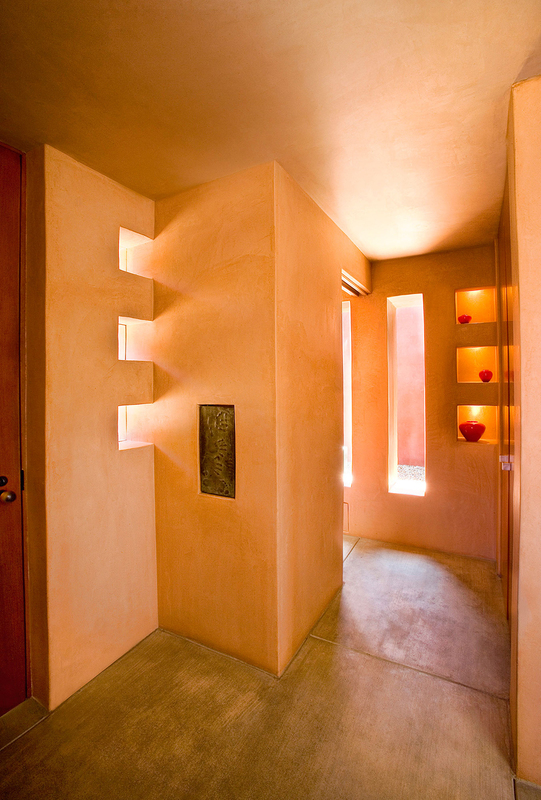 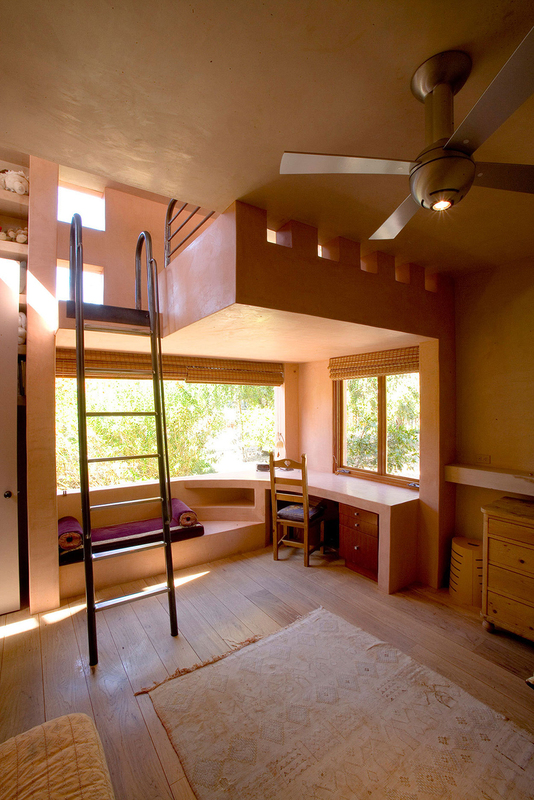 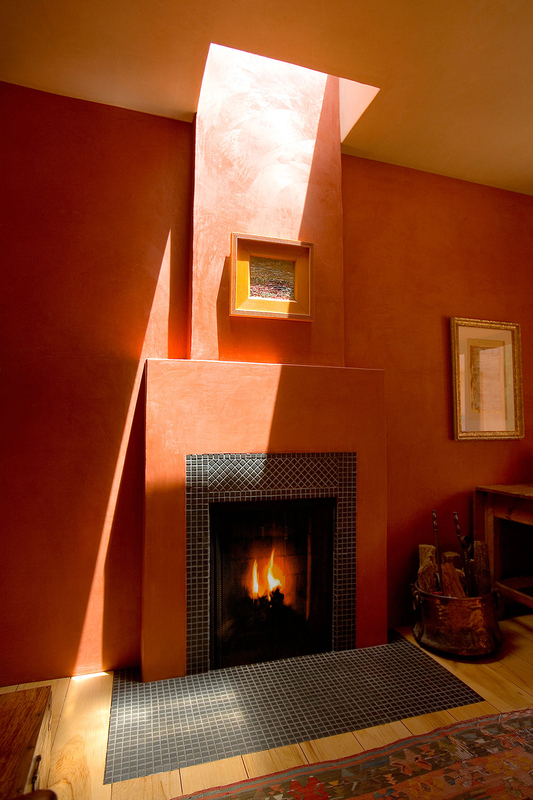 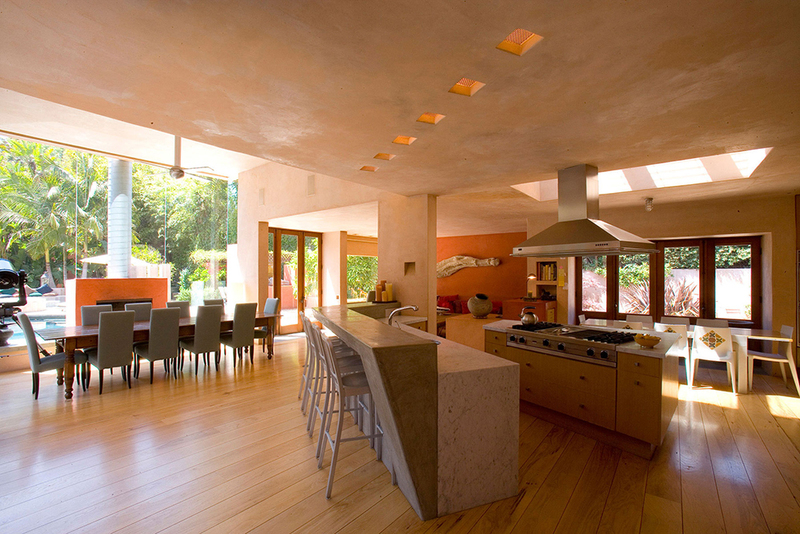 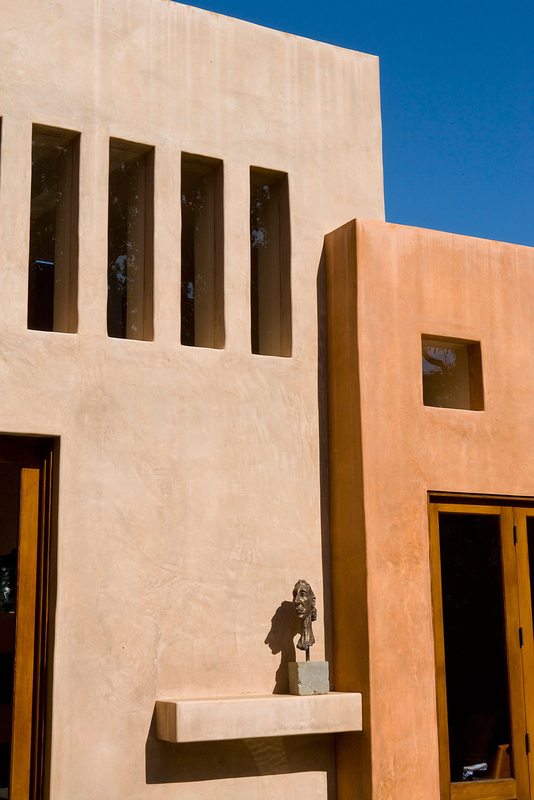 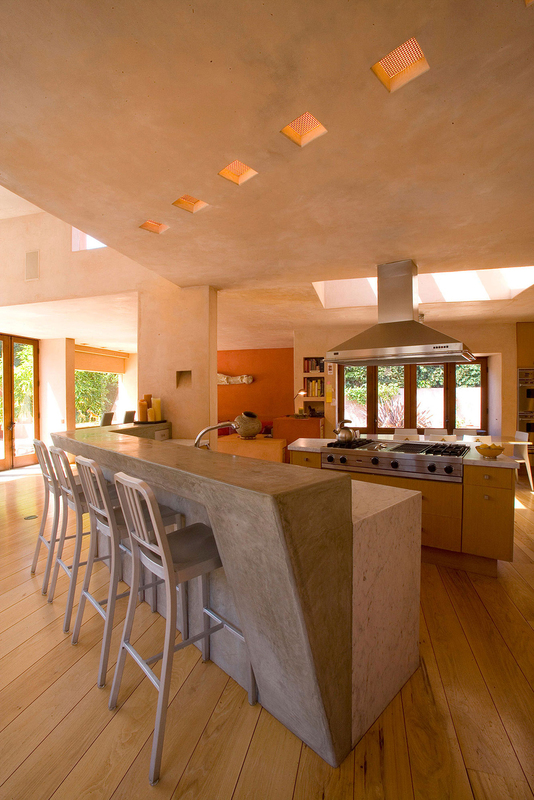 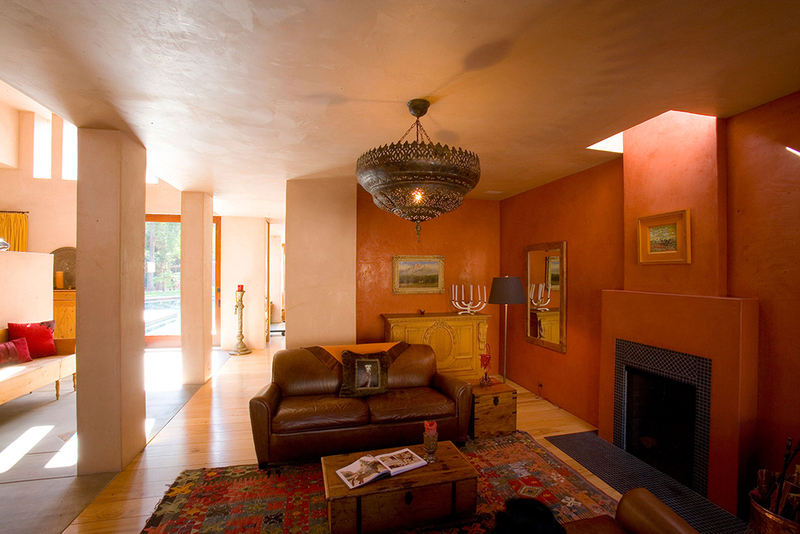 Thick, clay colored walls with many deep portals create sculptures of light in constant variation.